The price will not increase proportionately. In fact Netflix more or less costs the same worldwide. 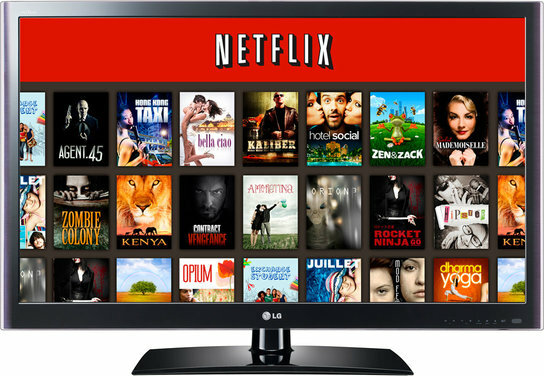 You can purchase a VPN program (virtual private network), that can be found free but a good one will cost you around (Rs 1,000 per year), and change your IP address to a U.S. one and then you will have access to all the U.S. content for the same Netflix monthly free. Interesting information. I have subscribed to Netflix and enjoying one month free viewing very good TV series which we will probably never see on MBC. I find the normal subscription reasonable and you can always opt-out at any-time. I probably would review my subscription if prices were to significantly rise. At this time it is giving me an enjoyable streaming experience. I wish that Netlfix could offer French language films/series too but this is probably a complicated rights/legal subject. (2) I am aware that it’s better to have 757 good movies than thousand of substandard ones but I wonder if it’s possible to do some kind of statistical analysis from data publicly available on the Netflix website and, say, IMDB. (3) I am also aware (of course) of proxies and VPNs but, because I am using a Huawei HG8245T and a Chromecast, these don’t work. I’ll have to change my HG8245T to something else (running DD-WRT possibly) to make the Chromecast work with a proxy or a VPN. I route all requests to Google’s DNS to some bogus local lan IP, connect the wan side to my ISP’s router and have the Dlink serve the house. Chromecast doesn’t know any better and streams everything pronto. If I understand correctly, (1) on your DIR-655 all requests to 8.8.8.8 and 8.8.4.4 are sent to some bogus address and (2) the DNS servers for the proxy and/or VPN are set on the DIR-655? Hi Amelia, are you in Mauritius? As far as I know, Netflix detects the use of (popular) VPN solutions and only serve regional content. Since I wrote the post 2 1/2 years ago, I have not tried to access the full catalog of Netflix from Mauritius… Anyone can shed a light on this? I have an LG TV too and I seem to recall I tried Netflix on it once and it worked (I tend to use a Google Chromecast instead). So, if you are having issues launching the Netflix app on the TV, I would suggest you talk to someone from Dragon Electronics. They surely have a solution. Netflix no more available in Mauritius ? Why would you say that? Netflix works well here (albeit with a different (and smaller) selection than other countries). Please I’m facing a little problem to set up my account. It is saying ‘insufficient fund’ in my credit card for the security deposit. Do you know how much is the security deposit for Netflix??? I am taking the US$9.99 plan.